When gamers first stepped into the world of BioShock, they were immersed (pun intended) in the underwater city of Rapture following a bloody civil war that changed the citizens. 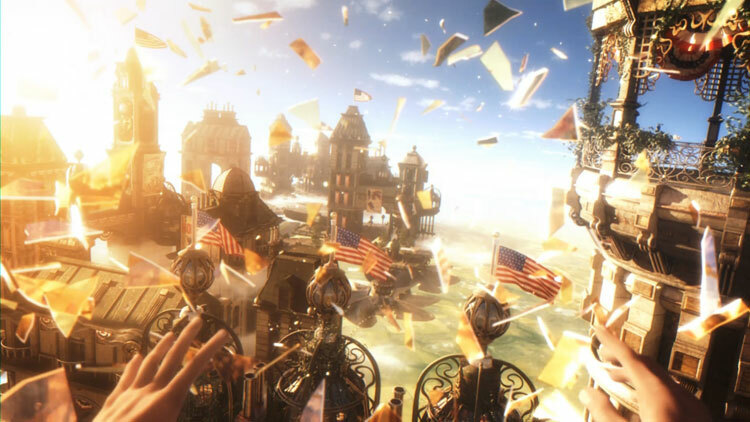 The story of Rapture is over now, and the setting of BioShock Infinite is Columbia, a floating city in 1912 that was designed to promote American ideals. But besides just the geography of the city, there is another major difference between Columbia and Rapture. In Rapture you were witness to the consequences of the war, In Columbia you are right in the middle of it. BioShock Infinite is the story of former Pinkerton Agent Booker DeWitt and a girl named Elizabeth, who has been held captive for nearly 12 years. As DeWitt tries to find a way off Columbia for himself and Elizabeth, they are drawn ever further into the civil war between Columbia’s ruling party and the Vox Populai, a group comprised of several factions each with their own agendas, but who all share the goal of tearing down the government. In the video below, Ken Levine of Irrational Games, the creative director of BioShock Infinite, discusses the factions at play in Columbia and some of the dangers you will face. BioShock Infinite is due on PC, PS3 and Xbox 360 in Q2 of 2012.